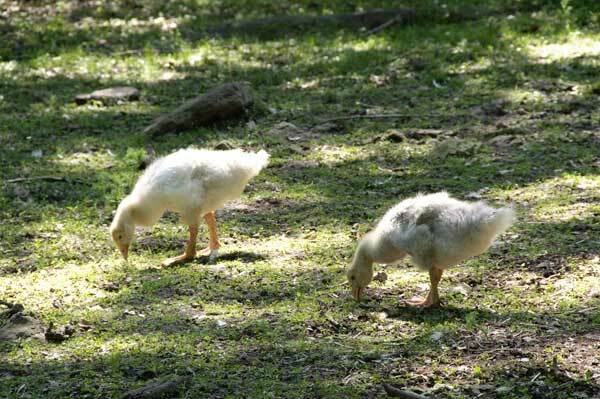 Now that they’re big enough to keep up, the goslings spend their days wandering outdoors with the flock. The flock has, of course, slowed its pace to accommodate the little ones, and they rest frequently. 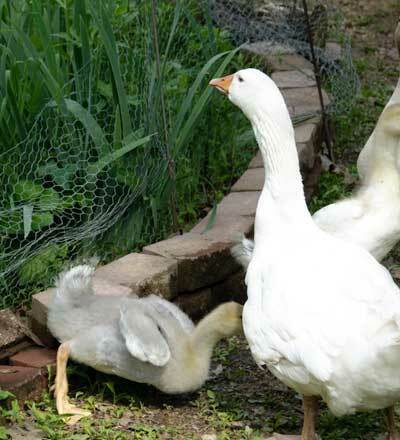 The goslings are growing quickly and beginning to lose their baby fluff. 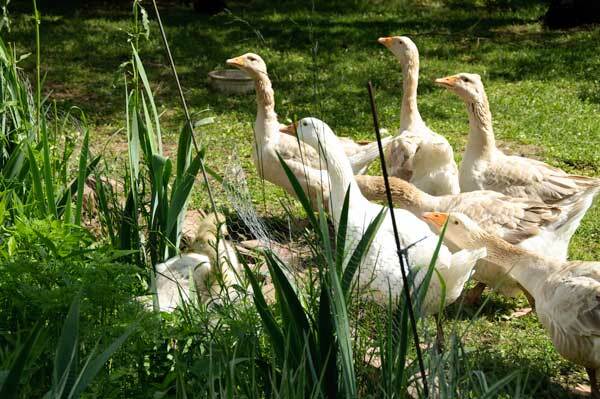 Soon they’ll have feathers and look like mini-geese. All that growing stirs up quite an appetite. They’re constantly hungry, constantly eating. Sometimes they’re so distracted by the green snacks around them that they take a wrong turn when the flock moves on. 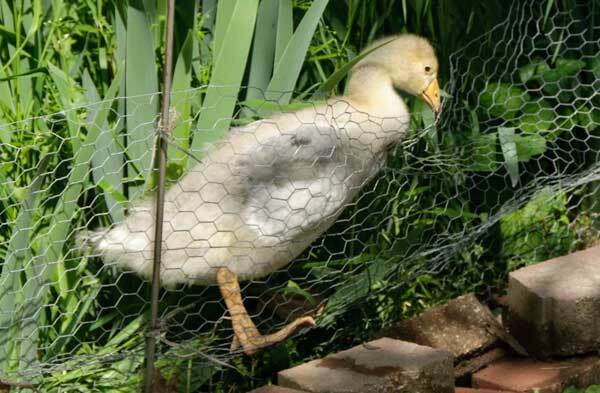 This time, the flock went around the chicken wire we put up to keep the birds out of this section. 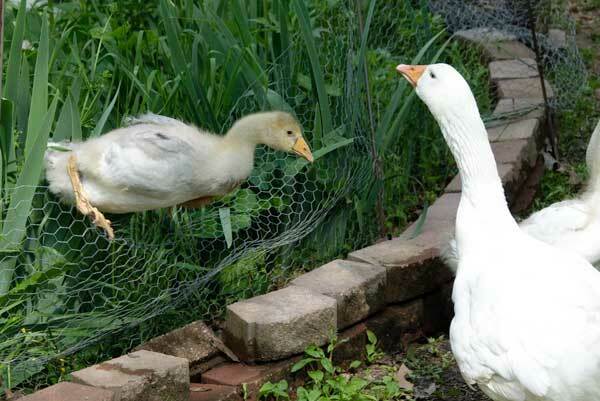 The goslings went over the spot the ducks had knocked down earlier then found themselves separated from all their aunties. There were a few terrible, upsetting, frantic moments before one figured out how to climb over. And leap. At bottom out on its belly. It was fine. The others followed, and they were fine, too. 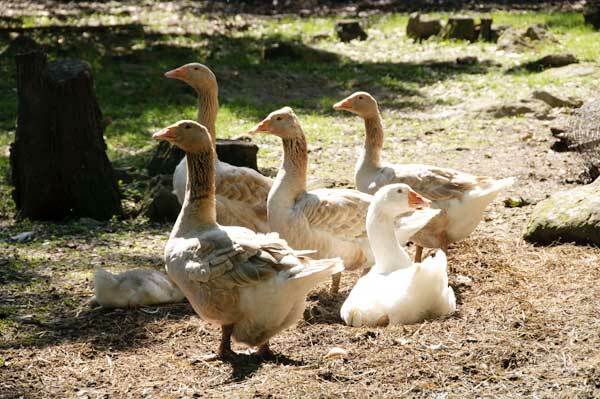 The flock circled around, sang their goose songs of joy, moved along with the three little ones tucked safely in the middle where they couldn’t get themselves in any more trouble. I took pictures of that, too, but it was all fluffy goose butts. One wasn’t clean. It was a disturbing sight.